@hannahmeisel That's what we got. Please note by clicking on "Post" you acknowledge that you have read the Terms of Service and the Chicago, IL report and/or forecast you are posting is in compliance with such terms. Be respectful. An inappropriate Chicago, IL report and/or forecast will be removed by a moderator. 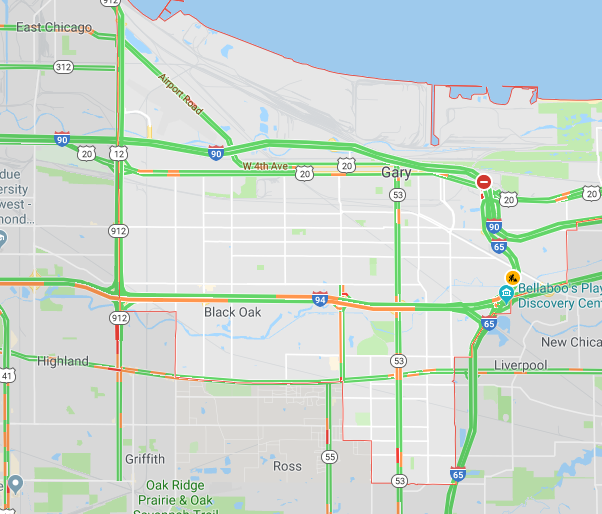 Chicago traffic updates, highway and road conditions with live interactive map including flow, delays, accidents, construction, closures and driving conditions for the Chicago area and Cook county.